Following releases by Set Fire To Flames, Sylvain Chauveau, and Max Richter himself, âSongs From Beforeâ is the fifth release on FatCatâs 130701 imprint, established as a creative outlet for music of a more orchestrated, instrumental variety. Beautifully recorded and cinematic in scope, âSongs From Beforeâ once again carries a pensive, emotionally resonant tone throughout that manages to fully engage the listener. 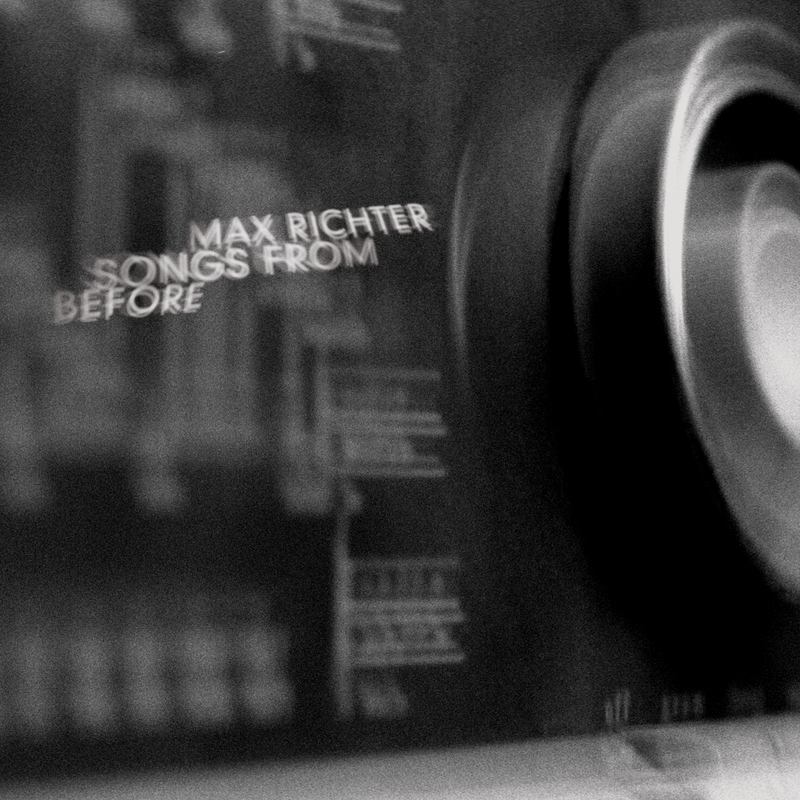 Following 2004âs critically acclaimed âThe Blue Notebooksâ, âSongs From Beforeâ provides a further refined, perhaps even subtler take on Maxâs narrative landscape, yet sounds as contemporary and impacting as any of his previous work. Punctuated by Robert Wyattâs distinctive, understated readings of Haruki Murakamiâs text (chosen by Max for itâs haunting, Kafka-esque tone), âSongs From Beforeâ utilises piano, cello, violin and viola, with Max playing piano, mixing and producing. Augmented by regular contributors Louisa Fuller, Natalia Bonner, Rick Costa, John Metcalfe, Chris Worsey, and Ian Burdge, the music evokes forgotten memories or lost histories, a series of bittersweet articulations that seem suspended somewhere between a dreamy sense of awe and melancholia. The title refers to the fact that, as well as this being a kind of specimen case of music written over a long period, the album also carries other music inside it - with the sources ranging from music between 5 and 300 years old - either used as starting points for Maxâs own writing, or submerged deep within. All of Maxâs music is part of an ongoing collection of writing, with music re-contextualised for each LP - records are an almost arbitrary slice across that continual process. As with a box of found objects carefully arranged to reveal meaning, the remote, grainy dubs that permeate the record, redolent of Mike Inkâs Gas or perhaps the more opaque Basic Channel / Chain Reaction output, deploy slight shifts in tone and colour, framing the music. Comprised mainly of shortwave radio sounds (a fondly revered but increasingly archaic medium with the advent of the internet), this connects with the analogue and tape aesthetics of the music, and the title itself. Recorded at Eastcote Studios on 16 track 2 inch analogue tape via the old MCI desk (a forerunner of the 24track format that became the standard in the 70s and 80s), known as âthe Bob Marley deskâ because of his love of it, Max expands âthis record is all about bass, so it is perfectâ. Born in 1966, Max Richter trained in composition and piano at Edinburgh University, at the Royal Academy of Music, and with Luciano Berio in Florence. On completing his studies, Richter co-founded the immensely successful contemporary classical ensemble Piano Circus, where he stayed for ten years, commissioning and performing works by Arvo PÃ¤rt, Brian Eno, Philip Glass, Julia Wolfe and Steve Reich. Richter was also pro-active in developing the groupâs use of live sampling. âI have always listened to a broad range of music. In my early teens I was listening to a lot of classical standard repertoire as well as 20th century work. During this time I also built and customised a number of analogue electronic instruments and was immersed in the early electronic music scene.â In 1996 he worked closely with The Future Sound of London on their release âDead Citiesâ. Initially involved as a pianist, he ended up co-writing a track (which they subsequently titled âMaxâ). Following this, Richter collaborated with FSOL over a two-year period on the album âThe Isnessâ, with his input ranging from programming or piano playing to arranging, mixing, co-producing and co-writing various tracks. Maxâs orchestrations have also graced âIn The MÃ¸deâ by drumânâbass pioneer Roni Size. Max also recently produced and co-arranged the long-awaited second album by 60âs legend Vashti Bunyan. Current projects include a series of scores for the previously unseen Super8 Derek Jarman films, as well as the score for âHopeâ, a new film from Stanislaw Mucha, written by Krzysztof Kieslowskiâs long-time collaborator, Krzysztof Piesiewicz. Max is also currently collaborating on âSiberiaâ, a music and film project with Turner Prize Nominee, Darren Almond. Other collaborations include music installation and gallery works, notably with New York based artist Monica Bravo. Previous recordings include âMemoryhouseâ, recorded by the BBC Philharmonic Orchestra, and The Blue Notebooks, with readings by Tilda Swinton.